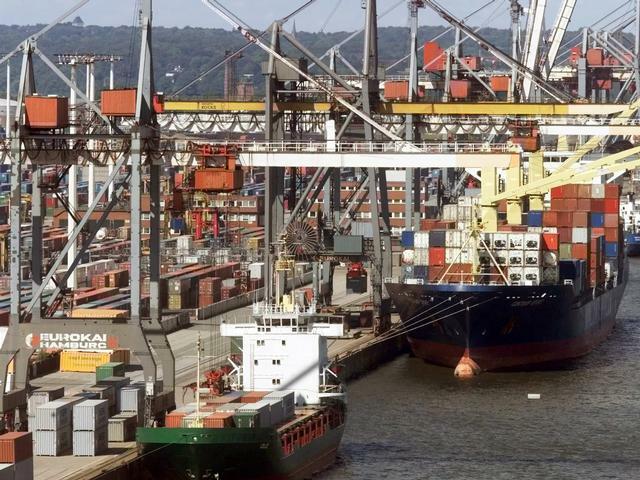 German economic slowdown worse than expected? FRANKFURT, Germany -- German industrial production fell 2.9 percent in December from the month before, according to official data released Tuesday, suggesting the country's economic slowdown could be worse than expected. The number reported by Germany's statistics agency was below market expectations for output to remain steady. Signs for the Germany economy, Europe's largest, have been mixed of late. Readings of consumer and business confidence have risen, and industrial orders reported Monday were up as well. That had sent a positive signal that the economy's slowdown will not be as bad as feared and that the bottom might already have been passed. But Tuesday's figures cast doubt on those hopes because the industrial sector is the backbone of the country's economic prowess. The statistics agency said it expects a slight fall in output when fourth quarter figures are announced. Jennifer McKeown, senior European economist at Capital Economics in London, said the drop was "a serious blow to hopes that the economy is showing signs of recovery." Andreas Rees at UniCredit said that while the figure was "clearly disappointing" he said leading indicators such as the Ifo survey of business optimism suggested a "fundamental turnaround" later this year after shrinkage of 0.2 percent in the fourth quarter. The government has cut its estimate for 2012 growth from 1.0 percent to 0.7 percent as the crisis over too much government debt in some countries weighs on Germany and its trade partners in the 17-nation eurozone. Greece, Ireland and Portugal have needed bailouts, and Greece is involved in nerve-wracking negotiations over a second bailout to avoid a disruptive debt default in March. Hoping to get a share of the strong profits many industrial enterprises showed last year, Germany's main industrial workers' union says it will demand a raise of 6.5 percent for its more than two million members in upcoming negotiations with employers. The metal and electrical industry union's board endorsed the demand for the next collective bargaining agreement Tuesday. The union represents some 2.3 million workers but analysts say the negotiations' outcome will serve as a benchmark for the remaining 1.2 million employees of the sector and others. Germany's economy grew by about 3 percent last year and many manufacturers are set to report surges in their earnings. Negotiations will start next month; no strikes can take place before May because of a truce agreement. The last deal in May 2010 granted workers a 2.7 percent increase.